The two Balkan countries have agreed to step up negotiations to settle the dispute, which has blocked the progress of Greece’s northern neighbour towards NATO and EU membership. Since Macedonian Prime Minister Zoran Zaev took power in Skopje, many politicians and commentators spoke of a “window of opportunity” that could help the small country move closer towards the West, particularly after Bulgaria made the Western Balkans a priority of its ongoing six-month EU presidency. But hardliners on both sides are getting organised to obstruct efforts to find a solution to the name dispute and possibly even topple the compromise-minded governments in power in both Athens and Skopje. 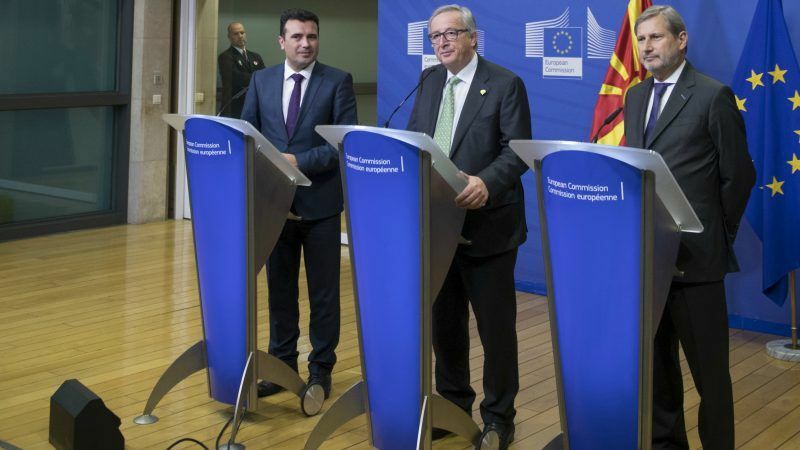 Asked by EURACTIV.com about Juncker’s visit to Skopje, Commission spokesperson Alexander Winterstein said it was part of a series of visits by the president to the region, which is considered “of great importance”. But he did not mention the name dispute. Asked to clarify if the Commission was leaving the name issue solely to the UN, even though Macedonia’s accession process depends on it, Winterstein said and repeated that the talks to solve the name issue are taking place under the auspices of the UN. Furthermore, the Commission’s distance became even more apparent as EU officials briefed journalists ahead of the publication on Tuesday (6 February) of the Western Balkans Strategy, an important document outlining their accession prospects. Despite several questions related to the name dispute, officials never once mentioned Greece by name. Instead, the “former Yugoslav Republic of Macedonia” [its provisional name] was advised to solve issues with “its neighbours”. 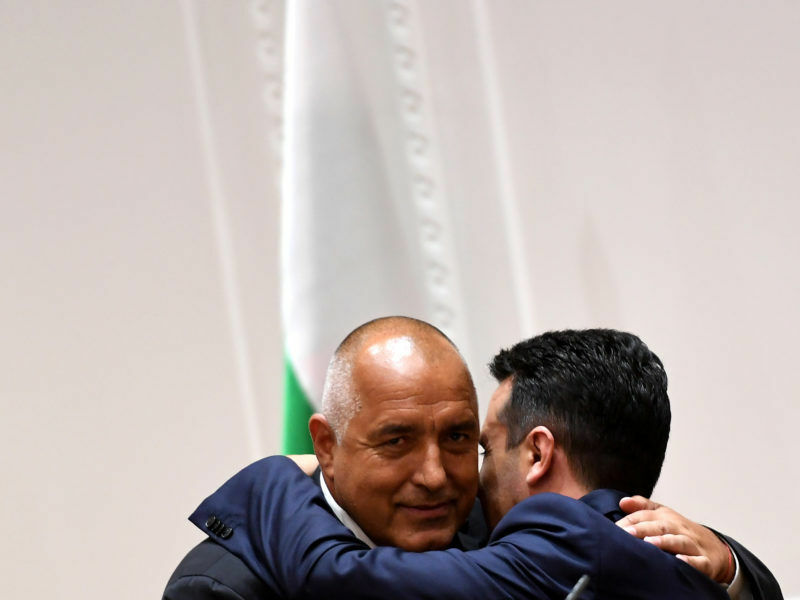 Under Zaev, Macedonia has already solved issues with Bulgaria and the only obstacle preventing the opening of accession negotiations is the name dispute with Greece. “Every time we hear encouraging messages from both sides coming out, we like to reinforce that, because we do see that there is a willingness to work. But these are processes which are ongoing, they don’t give an immediate result, we hope and will continue to support and encourage the finding of peaceful resolutions,” an EU official said. EURACTIV asked a prominent scholar if the EU wasn’t sitting on the fence, using the UN’s role as an excuse to stay away from the name dispute. Nicolaidis co-authored with Veton Latifi, a professor of international relations at the South East European University of Tetovo in Macedonia, an article titled “Resolving the Macedonian Name Dispute: Prospect for Transformative Mutual Recognition”. The article, published last December with the European Centre on Foreign Relations, attracted considerable attention. It argues that the current window of opportunity must be seized and provides a roadmap to resolving the name dispute. “We published this article together because we understand there is a window of opportunity which must be seized. 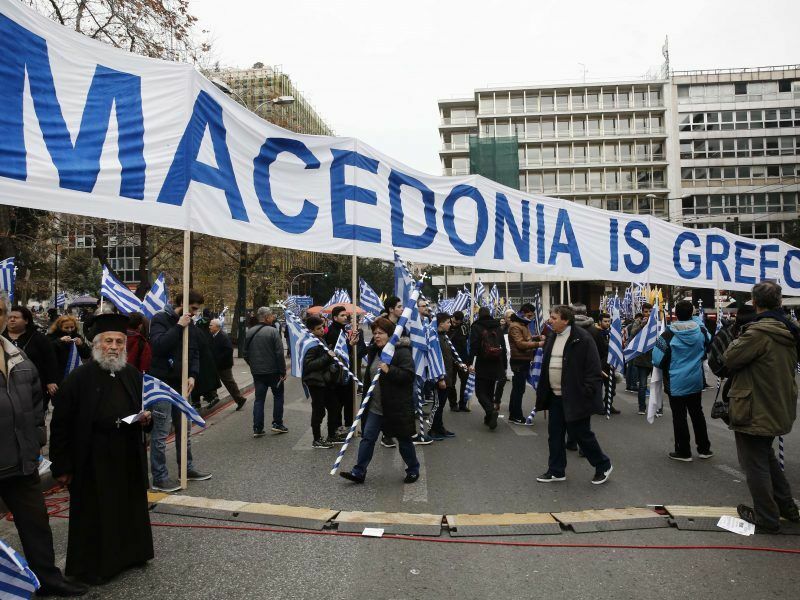 There is a new government of the FY Republic of Macedonia, and both Mr Zaev’s government and the Syriza government with foreign Minister Nikos Kotzias want, for their own reasons, to try to settle this,” Nicolaidis said. She also explained that there are three principles that should guide the resolution. Three principles should guide the resolution, Nicolaidis said. Nicolaidis, who is of Greek origin, said that she and her Macedonian co-author argue that the two sides will need to agree to disagree on certain things and not have “a Christmas tree agreement”. “But at the end of the day, they will need to ask ‘what about the name?’. Veton and I try to lay out a rather systematic approach and understanding to how the road to compromise should look like, and show how a permanent and composite international name could satisfy the concerns of both sides, she said. Asked what could be the optimistic scenarios which would allow Macedonia to become member of NATO and start accession negotiations with the EU, Nicolaidis said that the key lays in the link between the name and accession negotiations to both entities. In theory, Greece could lift its veto first on the basis of the new level of trust that has been built between the two countries or Zaev would make the concession on the name for external use first [an official name for external use which would not contain the designation Macedonia, and an unofficial name for internal use which would include the designation Macedonia]. 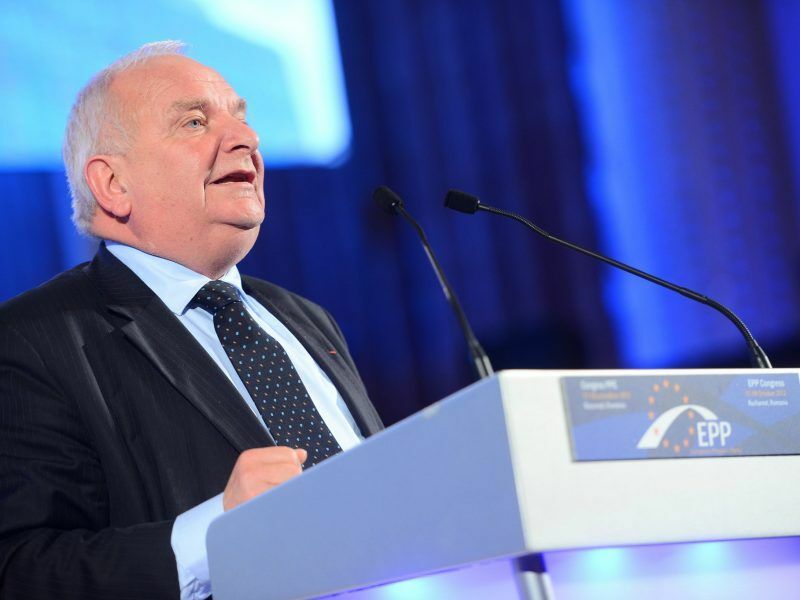 In practice however the politics of the issue dictate that the two will happen simultaneously even if the referendum in Skopje was to be postponed until actual accession to the EU, Nicolaidis said.